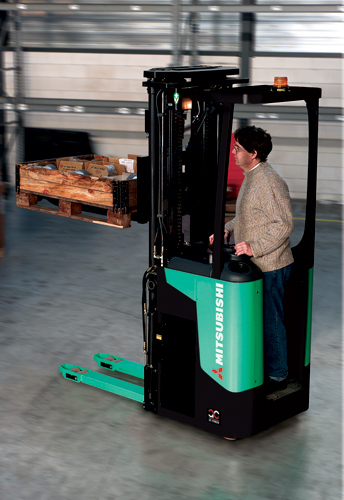 Productivity is optimised by fast travel and lifting speeds, advanced electronic technology and ergonomic design. 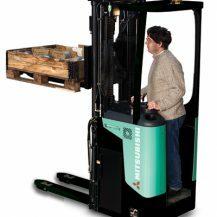 The operator enjoys quick on-off access, a comfortable standing position, good visibility and highly efficient fly-by-wire steering. 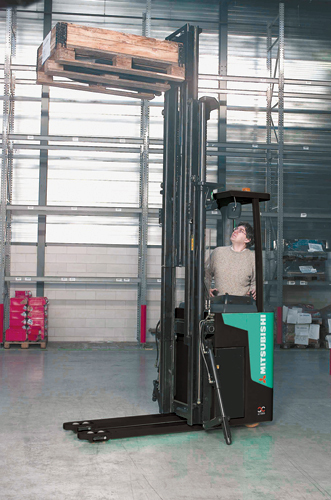 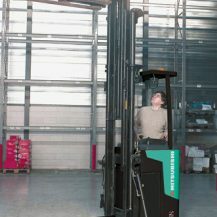 For duties which involve horizontal movement over large distances, as well as stacking, our stand-on stackers are ideal. 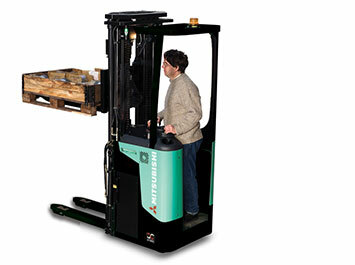 Importantly, these trucks are very compact and can work in narrower aisles than a reach truck. 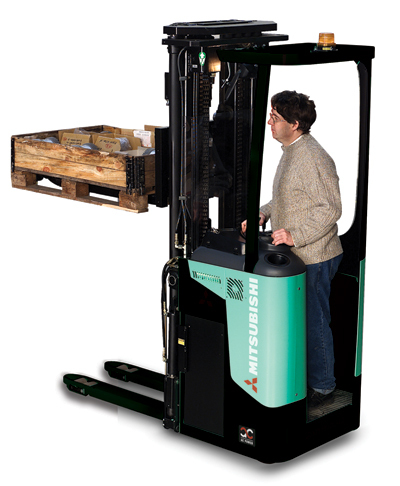 A choice of three load capacities is available: 1.2, 1.6 and 2.0 tonnes. 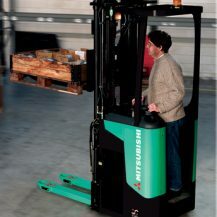 The first two models will lift to a height of 6.5 m and the 2.0 tonne model to 6.3 m. using the optional side stabilisers, residual capacity during higher lifts is increased.